In 1996, Dr. Wilkerson received a PhD from Washington State University, Department of Veterinary Microbiology and Pathology, College of Veterinary Medicine, Pullman, Washington. Her undergraduate education was completed at the Missouri State University and includes a Medical Technologist certification from St. John’s Hospital in Springfield, MO. She received a DVM and MS in 1989 from University of Missouri, Columbia. She is a diplomate of the American College of Veterinary Pathologist, 1996, with certification in Anatomic and Clinical Pathology. Throughout the course of her educational endeavors, Dr. Wilkerson received the following academic honors: Phi Kappa Phi, Kansas State University, Sigma and Alpha Delta chapters of Phi Zeta, , Kansas State University, College of Veterinary Medicine, (1997-2016) and St.George’s University, (2016-present). From 2016 to the present, Dr. Wilkerson has held the position of Professor at St. George’s University, School of Veterinary Medicine, Department of Pathobiology. She is currently chair of the department. Some of Dr. Wilkerson’s previous professional experience includes Assistant Professor, (1994-1996), Washington Animal Disease Diagnostic Laboratory. Assistant Professor (1996-2002), Associate Professor (2003-2011), Full Professor (2012-2016), Department of Diagnostic Medicine/Pathobiology at Kansas State University. Clinical Pathology Residency coordinator (2010-2014). 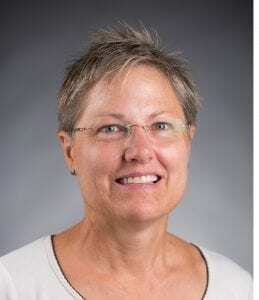 She has trained 15 clinical pathology residents and involved as mentor or on the mentoring committee for 30 graduate students at Kansas State University. Administrative experience includes Interim Associate Dean of Academic Programs and Student Affairs, 2007-2010, Kansas State University, Director of Clinical Immunology/Flow Cytometry Research facility (1996-2016). She is currently Adjunct Professor, Diagnostic Medicine/Pathobiology, Kansas State University, College of Veterinary Medicine. Dr. Wilkerson received the 2008, Outstanding women veterinarian of the year award from the Association of Women Veterinarians Foundation. She served on the Executive board of the American Society of Veterinary Clinical Pathology (2005-2010) and was President in 2008. She has served on the Editorial board of Veterinary Clinical Pathology (2002-2006). Wilkerson MJ, Black KE, Lanza-Perea M, Sharma B, Gibson K, Stone DM, George A, D.S. Nair, A, Ganta R. Initial development and preliminary evaluation of a multiplex peptide bead assay to detect antibodies to Ehrlichia canis, Ehrlichia chaffeensis and Anaplasma platys outer membrane peptides in naturally-infected dogs from Grenada, West Indies. J Vet. Diagn. Invest. 2017. 29:109-114. Pennick K, Holicky R, Wilkerson M. What’s your diagnosis? Joint and associated subcutaneous tissue aspirates from a bearded dragon. Vet. Clin. Pathol. 2017. 46: 363-364. Wasserkrug-Naor, Morton M, Wilkerson M, Pohlman L. Multiple swollen joints in a German Shepherd dog. J. Am. Vet. Assoc. 2017. 250:627-629. Delph KB, Davis EG, Bello NM, Hankins K, Wilkerson MJ, Ewen CL. Comparison of immunologic responses following intranasal and oral administration of a USDA-approved, live-attenuated Streptococcus equi vaccine. J. Equine Veterinary Science. Published online, Sept. 12 2016. Davis EG, Bryan AJ, Bello NM, Harkin K, Wilkerson MJ. Characterization of immune responses in healthy foals when a multivalent vaccine protocol was initiated at 90 or 180 days of age. Equine Veterinary Journal. 2015. 47:667-674. Hong W, Rush B, Wilkerson M, van der Merwe, D. Exploring the use of table PCs in veterinary medical education: opportunity or obstacle? J. Vet. Med. Education. 2014; 41:122-131. Higginbotham ML, McCaw DL, Roush JK, Nietfeld JC, Wilkerson MJ, Reeds K, Burr D. Intermittent, single agent doxorubicin for the treatment of canine B cell lymphoma. J Am. Anim. Hosp. 2013:49. Roush, JK, Rush, BR, White, BJ, Wilkerson, MJ. Correlation of the AVMA-COE Professional Competencies with Pre-Veterinary Admissions Criteria, Intra-Professional Curriculum Measures, and the NAVLE. J. Vet. Med. Education. 2014:41:19-26. Hong W, Rush B, Wilkerson M, Herman C, Miesner M, Renter D, Gehring R. From Theory to Practice: Integrating Instructional Technology into Veterinary Medical Education. J. Vet. Med. Education. 2013:40:264-271. Sardoy MC, Anderson DE, George A, Wilkerson MJ, Skinner S, Ferrer MS. Standardization of a method to detect bovine sperm-bound antisperm antibodies by flow cytometry. Theriogenology. 2012.78:1570-1577. Harkin KR, Dispensa J, Wilkerson MJ. Erythrocyte-bound immunoglobulin isotypes in dogs with immune-mediated hemolytic anemia: 54 cases (2001-2010). J. Am. Vet. Med. Assoc. 2012:241:227-232. Di Terlizzi R., Mohandas N, Gallager PK, Dolce KS, Wilkerson MJ, Stockham SL. Canine elliptocytosis due to a mutant -spectrin. Vet. Clin. Pathol. 2009:38:52-58. Validation of a Luminex xMAP MultiFLEX Vector-borne Panel for Canine Blood-Derived Pathogens in Grenada . Aug 2017, NIH, Merial. Summer Veterinary Research Program. M.J.Wilkerson, D.M. Stone, S. Cheetham-Brow, K. Gibson, M. Lanza-Perea. R. Ganta, C Yearwood. Validation of multiplex high throughput and serological assays for surveillance and diagnostic identification of epidemic an endemic of vector borne pathogens of regional importance in animals and humans in Grenada and the greater Caribbean. One Health Initiative Proposal. $124,000. 2016-2018. Windward Islands Research. D.M. Stone, K. Gibson, T. Patterson, M. Lanza-Perea. M.J. Wilkerson, R. Ganta. Detection of antibodies to and antigens of canine tick-borne pathogens in dogs in Grenada. University Small Research Initiative., Windref. St. George’s University. $5620.